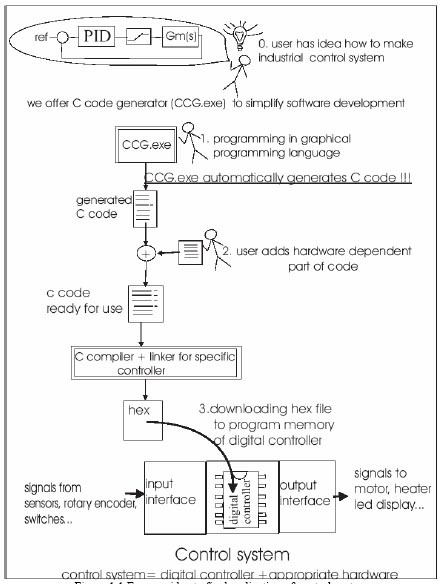 First document contains basic information about CASE (computer aided software engineering) tool CCG (C code generator). Aim of this document is to give short and clear explanation about all important aspects of C code generator. Upon reading this document you should be quit sure what is CCG. and what are benefits of using it. Detail information about using CCG together with illustrative example you can find in second document. In this document author gives complete example how to use CCG. Upon riding this document you should be able to use CCG in best manner. All that is expected from reader is to have knowledge of C programming language, to read and understand this document and it’s assumed that specific needs of C compiler and hardware that are used are known.